Mutual funds or ETFs offer diversified investments in clean and renewable energy. Investing in specific sectors of the economy is one way to try to cash in on the "next big thing." Clean energy investing has the potential to be a growing global economic force and at the same time clean energy has additional positive benefits besides making money for your portfolio. Investing through a fund allows you to participate in this sector and let a professional money manager pick the specific clean or renewable energy stocks. 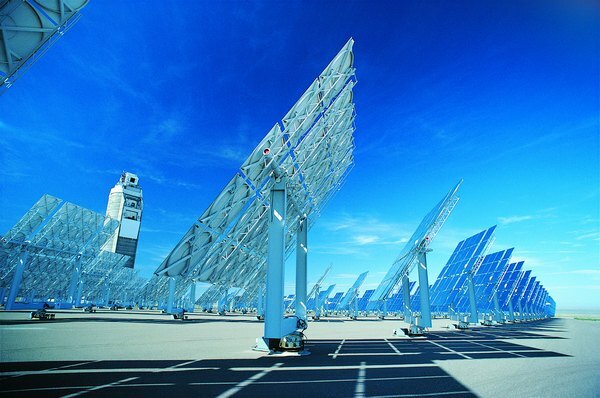 The clean or renewable energy sector includes several different ways to produce energy. There are the renewable standards of wind, solar and hydro energy projects and companies that produce either the equipment for the industry or actually generate energy. Other types of businesses that can be included in the sector including companies that develop technologies to make traditional energy production cleaner or find ways to reduce energy consumption. When looking for investment funds, the term renewable and alternative energy are used as well as clean energy. Approximately 10 different mutual funds fit into the alternative/clean energy classification. All of the mutual funds are actively managed, which means the fund manager chooses which stocks in the sector to buy and sell based on an investment analysis to determine which among the alternative energy stocks provide the best profit potential for investors. A mutual fund's investment objective and top stock holdings will show you what stocks or parts of the clean energy sector the fund manager believes offers the best potential. Depending on your definition of clean energy there are 12 to 18 exchange-traded funds that focus on renewable or clean energy stocks. The ETF choices range from broad coverage funds that own clean energy stocks of all types from all over the world to focused funds that hold stocks in specific clean energy sectors such as wind or solar energy. An ETF is not actively managed. This type of fund will own stocks to match the components of a designated stock index. For the renewable energy ETFs, the formation of the index and fund are often closely related. Mutual fund shares are typically purchased directly from the mutual fund company. If the fund charges a load or sale charge, a registered investment representative can help you open an account. For a no-load fund you will complete the application and investment process yourself. ETF shares trade on the stock exchanges and you buy shares through a brokerage account like you would buy individual stock shares. You pay a regular brokerage commission each time you choose to buy or sell.